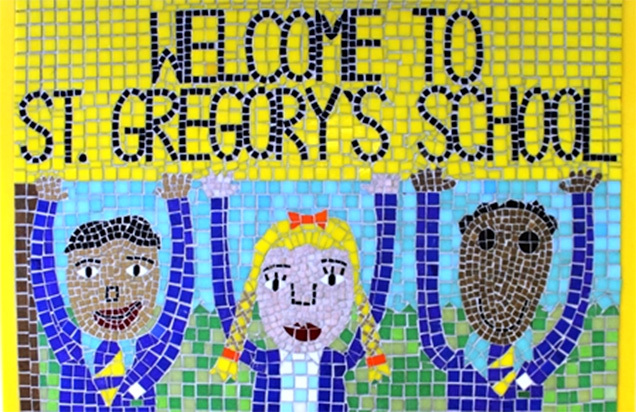 In 2010, in addition to being headteacher of St Gregory’s Catholic Primary and an LLE, I was appointed as executive headteacher at St Maria Goretti, an under-performing school which was on a declining trend and faced challenging circumstances, including a high proportion of disadvantaged pupils and families. I immediately recognised the needs and mutual benefits of collaborative working in driving and securing school improvement. With the support of staff from St Gregory’s, leadership at all levels rapidly improved, was affirmed by Ofsted, who acknowledged the impact made by school leaders from St Gregory’s. My role as an LLE enabled me to work with other school leaders and share successful initiatives with other schools, but lack of funding limited the opportunities for my immediate colleagues to learn and develop through school-to-school support. I wanted my own staff to experience the privilege of visiting other schools, working alongside school leaders, knowing that they would develop their own leadership skills and potential. In order to do this, in 2012 I applied to become an NLE. Unfortunately, despite the impact of the changes we’d made at St Maria Goretti, our initial application to become an NLE/NSS was unsuccessful. Despite our disappointment, we were not deterred from continuing our work. My desire to disseminate outstanding practice was shared by the senior leadership team at St Gregory’s, who quickly became accustomed to collaborative working and witnessed the positive impact of their contribution within our partner school. This created a self-fulfilling prophecy throughout the school staff; teachers, teaching assistants, business managers, learning mentors, administration staff and ancillary staff all looked favourably on the opportunity to visit each school to share ideas and procedures, to improve systems in each school. This eradicated the reservations of some governors regarding the effect my taking on a more strategic role would have on achievement and standards, as they witnessed the positive changes in confidence of many staff. In 2013, I led the conversion of five schools, including one secondary school, to secure a multi-academy company, which saw a further increase in the need for further school-to-school support from St Gregory’s, with increasing involvement of senior leaders at St Maria Goretti. The governing body, particularly the chairs of each academy, have been instrumental in supporting my transition from headteacher to executive, my role as an LLE and of my application to become an NLE. It is essential that governors are kept informed and up-to-date with the developments, opportunities and 21st century models of leadership and, at every stage, the governing body has been reassured by a strategic plan for leadership, which is integral to my new role as an NLE and our future success as a national support school. As the multi-academy company moves into another exciting phase, the extent of my commitment to school-to-school support remains largely unchanged. However, it will require careful planning, prioritising and precision. As a school community, we are pleased that our work has been recognised and acknowledged, and that our legacy will be firmly reflected in our school motto, ‘Service before Self’. Margaret Yates joins over 1000 NLEs supporting schools in challenging circumstances. NLEs support all types and phases of school: from small coastal primaries to the largest inner city secondary schools. We asked some of them to tell us about their work. Brian Crosby is principal of Manor CE Academy in York. He also sits on the executive board of the Ebor Teaching School Alliance. Kate is the executive principal of St Clement’s C of E Primary in Worcester, judged Outstanding by Ofsted in 2012. Kate has worked in mainstream primary, middle and secondary schools, and pupil referral units. My being an NLE, and the school an NSS, has really improved our practise. It makes us all much more outward looking and also raises the game of all the staff in our school as we have many schools/individuals coming to look around our school and observe the learning. It has also enabled some staff to go and do outreach support so they are able to look around other schools and 'magpie' ideas. I believe it doesn’t matter where a school is in their journey, there is always something to take away from a school to improve one's practise. 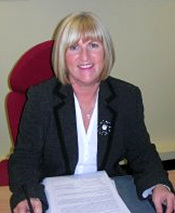 Jayne is the executive primary principal of Bradford Academy. She’s been an NLE for 6 months. Being an NLE means you support, challenge, coach and direct, leaving a partner organisation stronger, more vibrant and more sustainable by delivering bespoke solutions. Seeing a school transform is the reward. Seeing the changes in environment; the ethos of governors focused only on children; the community proud of their school; the leadership team confident and demonstrating self-sufficiency, confidence restored. There is no better way to ensure all of our children achieve well than by forming strong school-to-school partnerships. It is our moral duty to serve all of our children and use our skills to do so. Being an NLE also opens doors to be part of transformational discussion about the future of local authorities and wider partnerships. It gives you a platform to ask those questions you’ve always wanted to ask and to learn from others’ experience about reshaping the educational landscape.